Piping design course delivers the work space, workflow, cableway routing, design field, place design equipment component. +–What is the objective of piping design course? Piping design course is offering to fresher and experienced (mechanical, petro, chemical) engineers who’s start their career as designer (or) piping project engineers in oil, gas, chemical, petro chemical / refiners / energy & power sector. 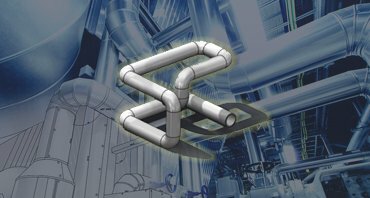 Piping design training is job oriented EPC training program. After completion of training candidate can start their career as piping engineer, project engineer, drafting engineer, (or) piping design engineer. +–Who should attend piping design course? He is a Graduated B. Tech Production Engineering from Anna University MIT Campus Chennai.Having 15 plus years Experience in Senior Piping Design Engineer (Engineering organizations of International repute) in various Oil & Gas / Petrochemical /Refinery / Offshore / Water Treatment Plant Design etc. ▸▾How engineering students benefit from piping course ? Students who wish to pursue higher educational having strong oil and gas industry can also benefit from piping design course potential to get part time jobs in these industries while they study abroad and helps to achieve financial assistance and finally get into jobs on a full time profile with in oil and gas industries. Students can do piping design course and virtual project parallel to their university studies virtual project can be tailor-made to university project on request upon completion they can have a CV attractive to oil and gas industries. ▸▾Pay-scale of Piping Designer ? Kolkata is a metro city of west bengal. The city have 76 number of mechanical engineering colleges and give nearly 90 to 95% of results which is eligible degree to enter piping design sector. Most popular core companies like petrofac, technip, larsen & toubro, techint are have their operating centers in Kolkata. There is a bunch of opportunities for piping designers to both fresher & experienced professionals. Enroll now & build-up your career with us.